Perhaps I am just more keenly aware because Dan and I have been celebrating our Golden wedding anniversary, but it seems I am being smacked in the face with people who lack loving support from a spouse/partner. And, truth is, not everyone even wants to be in a permanent relationship with anyone. Obviously my bias is towards creating and maintaining a great marriage relationship and I don’t like being put in a position of feeling “guilty” because I have it. There are dozens of extenuating circumstances that prevent someone from having a loving partner with which to share life. I totally get that. I don’t ever want to come across as someone who has all the answers and privileges. But here are some questions for those who don’t have or choose not to have….a loving partner. What are you doing to create a support group for yourself? Who speaks into your life and how are they influencing you? What are your friends doing to help you grow? How are you being challenged by others? Are you reaching out in love? Kindness? Concern? 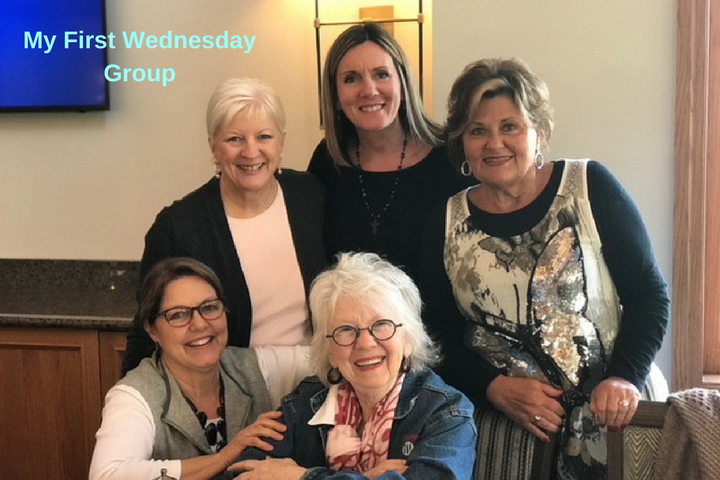 Are you surrounding yourself with people who help you see the best in yourself or are you surrounding yourself with others who might be wallowing in “comfortable misery”….keeping you in that same groundhog day existence? I was talking to my wise and competent friend, Ninette, about this a few days ago. She is our massage therapist and we sometimes get into great philosophical conversations over my massage. Ninette is an avid runner. Serious about it. And she is good. She qualified for the Boston Marathon for next year. She says she doesn’t know how she would be able to do what she does without her running buddies. Her support groups help her on so many levels. She and I have talked about the necessity of building a community of friends and encouragers who help you reach the goals you set for yourself. Whether it is running or living life, it is essential to have those people in your life who push you to be a better you. I have Dan in my life and I am so thankful for him and for how he has helped me grow and stretch. But I also have, through the years, developed great relationships with others who encourage me, teach me, love me and help me want to be the best ME I can be. That takes effort too. Those friends don’t just come knocking on your door. I have found many times that the best way to be part of a group is to begin it myself! I have started book discussion groups, art groups, girlfriend groups. Through those efforts I have developed many dear friends who are there for me when I need a boost of encouragement or a kick in the pants! Dan has his Mastermind group of deep friendships. These people, male and female, help encourage each other to grow, learn and thrive while also keeping them tethered, real and accountable. Dan knows without any doubt that each of these people would be there for him in a heartbeat if he was in crisis. Having a loving partner isn’t the only way to create a happy life. Surrounding yourself with friends who are your “cheerleaders” in your quest to become the best YOU is an excellent tonic for a successful and exciting life. If you don’t have those friends….that kind of community……I encourage you to create one. Why not start today? Call up someone you admire and ask them for a lunch date. I did that over twenty years ago and started my first Circle of Friends group…..and I have begun many groups since. Those relationships fuel my need to grow and be challenged. I hope you find the perfect people to create your own Circle of Friends! I can say with much certainty that I am surrounded with lots of encouragers, and continue to look for more of them each day! Because life is to short to run around in discouragement mode. It just is! I am trying my best to stay in a frame of mind that discouragement becomes SO generic that I don’t let it get me down at all, but rather, it just kind of becomes unnoticeable. At the least, I want to be able to counter it quickly, in a way that that person will immediately be lifted up and encouraged their self. And with that said, I want to once again say thank you to you and Dan for all the ways you’ve helped me be a better person! I know my life is better because of it. Ah so true! Yes, I’m looking for love and so fortunate that I found that in you many years ago – and it’s done nothing but increase over the years. But I too am thrilled to have deep, trusted relationships with others around us. We have no fear of homelessness or going hungry. Those relationships would provide anything we needed. I think the love we have for each other opens us up to great relationships with others – we expect it and are not guarded or fearful of hurt. I think sometimes we avoid creating groups or even making friends for fear of this life-long commitment. I’ve found that, as we RV the States, we have had the beautiful opportunity to meet so many open neighbors who are willing to connect and share right away; all of us knowing we are together for only a short amount of time. While I am so grateful for my long-time friends as well as my best friend and soulmate Nathan, I also value my friends for a season as well. There are people that pass through our lives for a season and then move on, and it can be a beautiful thing. The relationships that were formed at times we needed it most and faded as other things took over – I look at those with gratitude – that we took the time to be there for one another for that season, and care enough about each other to not force obligation once that season ended. Don’t hold back on the friendships you can make…even if it’s just a beautiful one-day meeting.